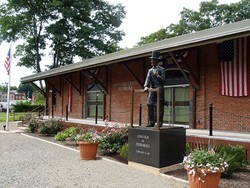 This event is jointly sponsored by the Lincoln Society and Lincoln Depot Museum in Peekskill, NY. The HSRC is not involved in the planning or sponsorship of this event. 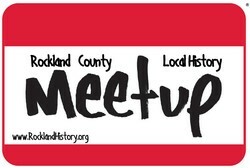 This is a meet-up announcement for history enthusiasts. 2 pm "Lincoln in Peekskill" Re-Enactment: The 1861 Speech to the Citizens of Peekskill during a stop by the Lincoln Inaugural Train is re-created at the newly opened Lincoln Depot Museum, 10 South Water Street, Peekskill (public invited). Please note that prior to the re-enactment (at 1:30 pm) a Wreath-Laying Ceremony featuring West Point Honor Guard Unit at Lincoln Exedra, on South Street in Peekskill, NY, will be held (public invited). 2:45 pm Lecture & Book Signing: Dr. Charles Strozier, author of Lincoln’s Quest for Union: A Psychological Portrait, will make a special presentation at the Lincoln Depot Museum ($5 suggested donation). Dr. Strozier is a professor of history at John Jay College and a psychotherapist. 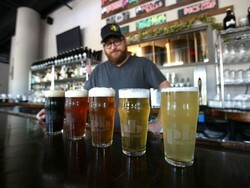 4 pm LinCON Pub Crawl: Join your friends & neighbors for a fun-filled pub crawl through Peekskill, starting with a private beer-tasting experience at the nearby Peekskill Brewery. All are welcome! All participants must travel to and from the sites on their own, and all participants are responsible for any fees associated with the events.